The University of Glasgow’s inaugural Knowledge Exchange and Impact Conference took place on 22nd April at the Grosvenor Hilton in Glasgow. Well attended by a mix of academics and administrative staff that actively support knowledge exchange activities, the vibe was enthusiastic and exciting. Opened by the Principal, Prof Anton Muscatelli, the event kicked off with reference to the Papal Bull issued by Pope Nicolas V in 1451, which stated that the knowledge generated by the university should be made available both locally and nationally. Yet, knowledge exchange or KE still feels new today! Prof Steve Beaumont Vice-Principal for Research Strategy and Innovation provided an overview of the REF Impact landscape across the university, highlighting the importance of generating impact from research, in particular as it contributes to 20% of the Research Excellence Framework (REF). Addressing issues of integration of KE to the everyday, Steve referenced the worldwide adoption of research impact as career development activity on a global platform. Prof Mark Reed, Birmingham City University, who provided 5 Principles for making a bigger impact with research, delivered the keynote. The 5 Principles included Design (know what you want to impact and design impact into the research programme) Represent (stakeholders that might have an interest in your work) Engage (2-way dialogue with stakeholders treating them as equals in the programme) Impact (sharing of quick wins where possible) Reflect and Sustain (learn from the group and share best practice). The rest of the afternoon was in the format of breakout sessions of which I attended “Engaging Science” and “The Role of Social Media and Digital Engagement in KE and Impact”. “Engaging Science” may initially seem like an unusual choice for someone from the College of Arts to take but the three presentations covered (i) how to efficiently engage with schools and influence the curriculum, (ii) how to engage the public by working with our very own Glasgow Science Festival and also (iii) how to make best use of external partners such as the Glasgow Science Museum. Take out the ‘science’ aspect and you have lined up three priority areas for the College of Arts. The verdict: extremely relevant and engaging. The final break out was strongly influenced by the social sciences, topic wise but again the content was very much applicable to the College of Arts. 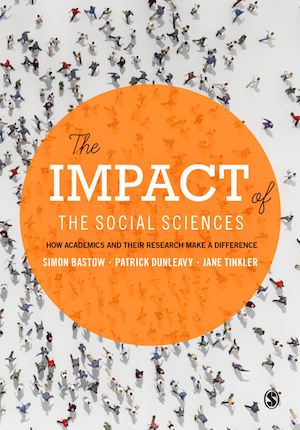 Jane Tinkler (co-author of The Impact of the Social Sciences, London School of Economics) discussed how making research outputs available via blogs made them accessible far earlier than via journals, and evidenced that the research was far more widely disseminated and read when compared to traditional routes. This was reiterated by Prof Fergus McNeill who presented the successes he has experienced using social media as part of a tiered approach to releasing research (i) to prepare a less academic oriented blog containing a link to the publication, (ii) to tweet a link to the blog and (iii) to publish the paper via traditional academic routes. In his experience the publishers were keen to exploit the ‘free’ marketing that goes hand in hand with a well-read blog and were happy for a layman’s version to be made available without charge. The primary message in this session was clear and reinforced the age old adage: “content is king”. Wonder if that was mentioned in the Papal Bull? KTP: Innovate UK’s Best Kept Secret?